This second-chapter Cabernet Sauvignon opens fruit forward with just enough floral notes to get invited in the door so it can charm everyone at dinner. Medium bodied and easy drinking. Feel comfortable sipping it with a chargrilled ribeye or a classically appointed cheeseburger. In vino veritas, especially with these vinos. 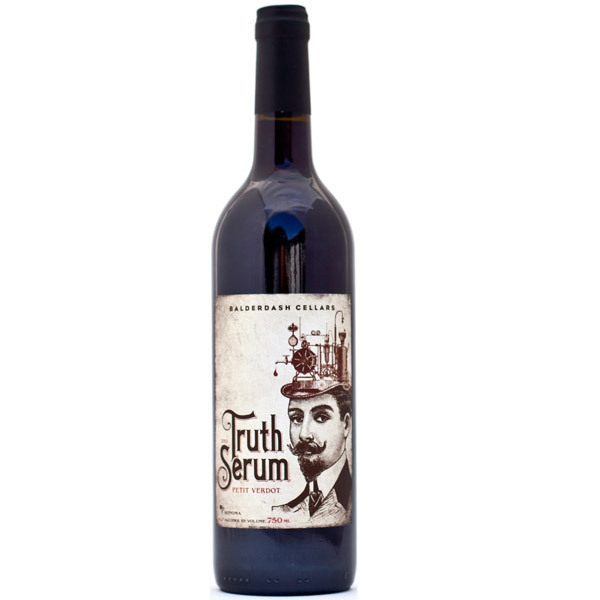 Truth SerumTM wines are our founder’s most select, tongue-loosening creations. Only available in finite amounts and limited releases to exclusive partners. Come taste them at the lab (where we can secretly record your confessions).